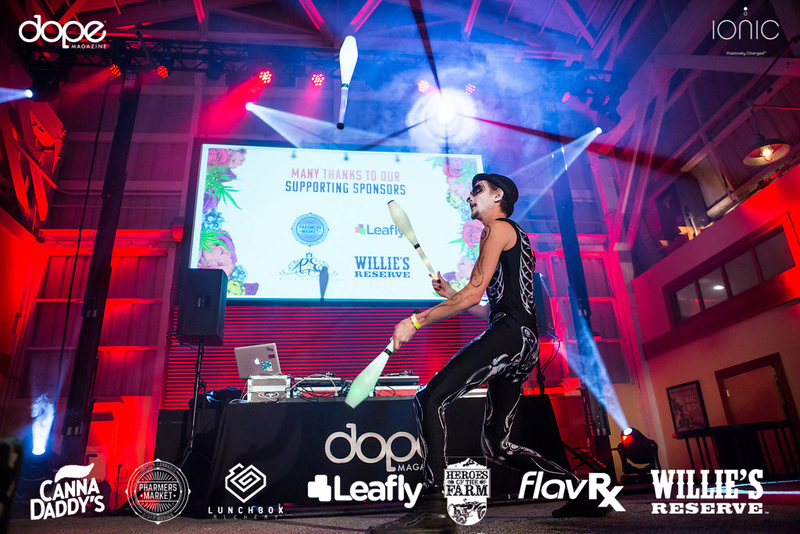 Ghastly ghouls made their way to the Third Annual Oregon DOPE Cup on Sunday, October 29 to celebrate the Oregon cannabis industry’s incredible accomplishments. 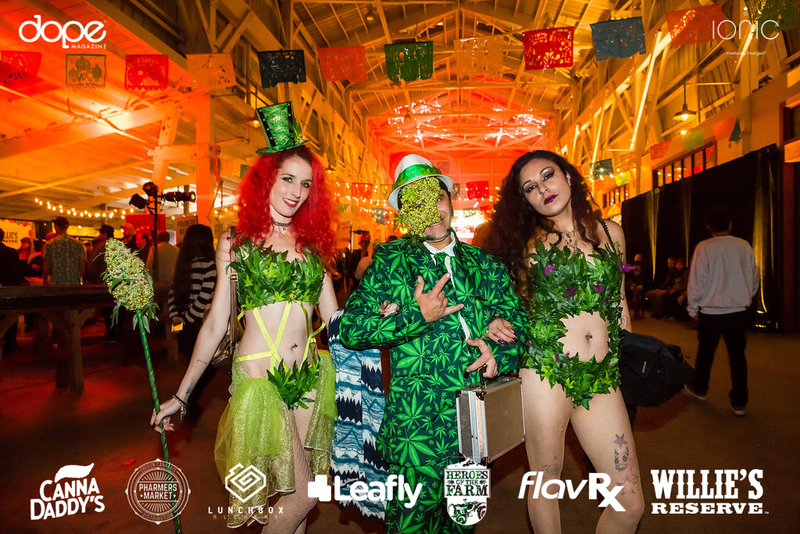 The annual Halloween event, presented by Ionic Premium Vape, was the very first celebration held at the amazingly unique Staver Locomotive warehouse in the heart of NW Portland. The “Dead Man’s Party” theme permeated the evening, from decor provided by Luxe Events to Who? Extracts-sponsored authentic Mexican snacks in the VIP lounge, as well as breathtaking performances from Rad Acro. Touring acrobat performers put on stunning act after stunning act, finishing their performance with a funeral procession through the heart of the event. DOPE Cup vendors and sponsors also got in on the act! Green Leaf Labs, one of the Oregon-based companies sponsoring the Grower’s Lounge, brought in a professional body painter; Who? Extracts’ life-size Vape Pen was definitely a crowd favorite; and Willie’s Reserve had a badass leather-imprinting station. And who could forget Ryan Rampage and the Fire Chandeliers?! They got social media buzzing–not to mention provided some unbelievable selfie opportunities! DOPE Cup Oregon would not be possible without all the fantastic sponsors and vendors who swagged attendees out with giveaways and more! 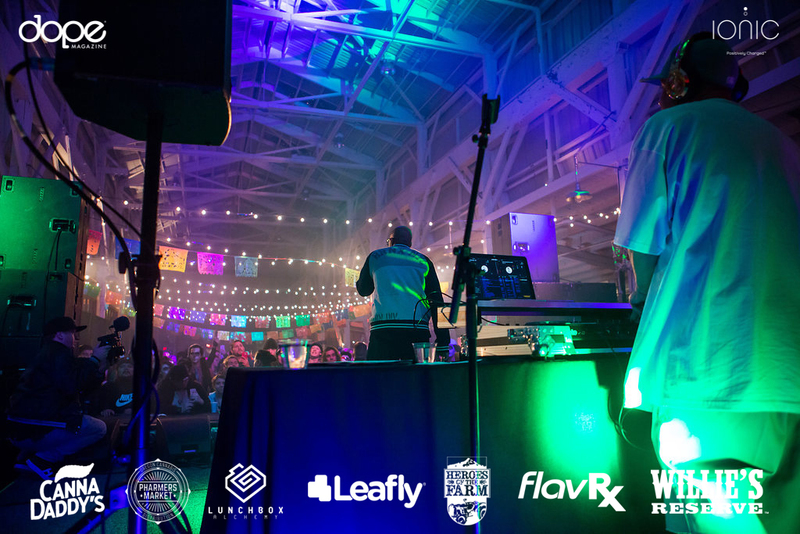 A special thank you to our presenting sponsor, Ionic Premium Vape, along with our supporting sponsors: FlavRX, Lunchbox Alchemy, Heroes of the Farm, Leafly, Willie’s Reserve, Pharmer’s Market and Canna Daddy’s; The VIP tent was sponsored by Odin, and the Grower’s Lounge was sponsored by Green Leaf Labs and LeapFarms. Congratulations again to the DOPE Cup winners, and a big thank you to everyone who entered the competition. A fair, science-based judging platform is what makes the DOPE Cup the most legitimate cannabis competition out there, and we couldn’t do it without the services of the renowned Trichome Institute–their proprietary judging process will always ensure the best product gets the cup! Lastly, thank you to everyone who attended and participated this year. YOU are the ones who truly make the night DOPE!